I have always been drawn to a particular type of image. You know the one. The image of a road which disappears around the corner, the hiking path that goes up and beyond the crest of the hill and the one that you will find intermingled throughout The Graceful Touch Massage Practice. 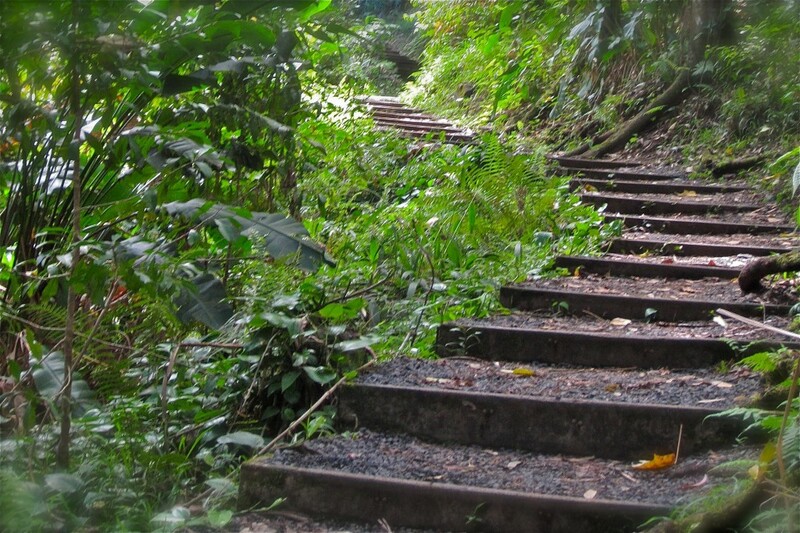 It is the image of steps which wind up and through the jungle, reaching up and beyond where your eyes can see. (Side note – it was taken in Maui – road to Hana – by my husband Jim Hajek, PGA Head Golf Professional at Fossil Trace Golf Club in Golden = shameless plug). I’m not sure why I love this photo. Perhaps it is because it reflects life in that you don’t quite know what is around the bend, what might come next, what lies just beyond your reach. Time will tell but as I begin the next step in the journey, now 1 year old, I wish to thank everyone who has contributed to who I am – all of which have made an imprint on me. It would be easy to say thank you to my family and friends – rightfully so – and leave it there. However, I must pay homage to my past employers, fellow employees and past bosses who have in their own way helped direct me to where I am now. 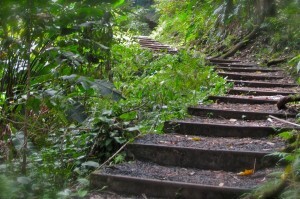 I stand at the first step of a beautiful path which leads upward into the jungle. What is up there, around the corner? What hardships will I encounter? What challenges will I face? Will I be successful and what does that really mean? With a little prayer and a deep breath, I begin the climb.